2) Insurgent (Mar. 20) – Another book series adapted into a movie, the second installment of the Divergent series looks to be even more action-packed and exciting than the first. 3) Far from the Madding Crowd (May 1) – This is a film adaptation of a classic Thomas Hardy novel, starring Carey Mulligan and Michael Sheen. The heroine is a strong, independent woman at a time when such a thing was pretty taboo. 4) Inside Out (June 19) – The latest project from Pixar Animation Studios is directed by Pete Docter (Up), and the voice talents include Amy Poehler and Mindy Kaling. Basically, I don’t think there is any way that I won’t love it. 5) Star Wars: Episode VII: The Force Awakens (Dec. 18) – J.J. Abrams brings his own special touch to the next Star Wars movie, and that makes me optimistic. I grew up watching the original series (over and over and over), and the newer episodes (I-III) were disappointing (to say the least). From the teaser, it looks like Abrams is staying truer to the original films and their aesthetic, which I hope is a precursor of things to come. Honorable mentions: Song of the Sea (Jan. 9) – A new animated feature film from the same studio that made Secret of Kells (which I absolutely love). Cinderella (Mar. 13) – A live-action version of the classic fairy tale with a fantastic cast. Avengers: Age of Ultron (May 1) – It’s an Avengers movie—of course I’m excited about it! Pitch Perfect 2 (May 15) – It’s going to be fun and it’s going to be funny—and the music will be great! 1) Avengers: Age of Ultron (May 1) – It can’t be avoided from my number 1 spot. I have been a superhero fan since I was 11 years old and seen every hero movie that has been out. (Even the terrible and horrible ones.). Marvel has done a top notch job with theirs and I have no reason to think that it won’t continue. This promises to be a visually impressive movie filled with stars, action, and an intense story-line. 2) Mockingjay Pt. 2 (Nov. 20) – Another book series that I love. I am curious how they will do some of the scenes in the third book and the characters they encounter in the Capital. I understand the ending of the series, though not the way I wanted it to end, I am eager for this film. 3) Jurassic World (June 12) – Without spending effects my number three couldn’t exist. I was a huge fan of the first film, frustrated that they ruined the book in the second film, and somewhat pleased with the third film. I am a huge fan of the book series, though. When I saw that they were going to try to revisit the Jurassic theme and that Chris Pratt was going to star in it after his successful portrayal of StarLord in Guardians, I was sold. 4) Pan (July 24) – Like Maleficent where you find out the back story, we are about to find the back story of Peter Pan. Hugh Jackman plays an almost unrecognizably bald Black Beard and it promises to be filled with amazing special effects. 5) Cinderella (Mar. 13) – I have really enjoyed the different movies that have come out with the changes to the classic fairy tales. One of the first I remember was Drew Barrymore’s Ever After; a wonderful film, which happens to be a twist in Cinderella as well. You have the series Once. I was very pleased with Maleficent this year. I can only imagine that Cinderella will be done at that same level with screen beauty and artistry. Honorable mentions: Dreamworks’ next animated film Home, Kevin Costner in McFarland, USA, Ryan Reynolds in Selfless, George Clooney in Tomorrowland, Chris Hemsworth in In The Heart of the Sea, Stars Wars VII, and Ant-Man. 1) Mad Max: Fury Road (May 15) – Mad Max was my introduction to the acting talents of Mel Gibson. I have really enjoyed everything Tom Hardy has done so far and I feel like he is on the cusp of A-list status, if he isn’t there already. If his performance in Warrior is any indicator of what we may see with Fury Road, I’m excited! 2) In the Heart of the Sea (Mar. 13) – The trailers for this have a little bit of a Master and Commander vibe. Throw in a huge whale and Chris Hemsworth and I’m excited to see what Ron Howard can do on the sea. 3) Jupiter Ascending (Feb. 6) – It’s been a while since the Wachowski brothers delivered something both interesting and entertaining. Cloud Atlas had some promise but never reached the blockbuster success I think it had the potential for. 4) The Sea of Trees (TBA, 2015) – Gus Van Sant has brought us some solid films that have explored the depths of human emotion and interaction. This story of a suicidal American (Matthew McConaughey) who befriends a Japanese man on Mt. Fuji sounds interesting enough to make my list. 5) Pitch Perfect 2 (May 15) – Okay, confession time. I only recently watched Pitch Perfect and I was left wondering how I missed it when it was released. I loved it! I’m a sucker for beautiful a-Capella singing, and when you throw in some decent comedy throughout then you’ve got me. Honorable Mentions – The usual: Avengers, Mockingjay Pt. 2, Ant-Man, Star Wars, Spectre and Jurassic World. 1) Jupiter Ascending (Feb. 6) – An epic sci-fi film by the creators of The Matrix? Count me in. I’m always a bit leery of Channing Tatum, since his performances in my experience can be at either end of the spectrum, but this one looks fantastic. It’s set in a world where human life was seeded on earth by another alien species, which has now sent someone to kill a woman who, unbeknownst to her, is royalty. The film’s visuals look absolutely stunning, and it promises to be a thrilling story. 2) Tomorrowland (May 22) – I’ll confess, I’m not entirely sure what this is about. I just know that when a girl touches a button it takes her to this really cool (I assume) alternate dimension. That, and it has George Clooney. It might be too early to tell, but it looks like one of the most original projects that Disney has taken on, and my interest has been piqued ever since I saw the trailer in a theater for the first time. 3) The Martian (Nov. 25) – Adapting books to film has become insanely popular in Hollywood, with mixed results. The Hunger Games franchise has done extremely well, while If I Stay was a bit flat. This one, however, is a bit different from the plethora of book adaptations we’ve seen. It’s about an astronaut who gets stranded on Mars, and this astronaut is to be played by Matt Damon. Ridley Scott is directing, and I’m hoping that with something less controversial, he’ll come back with a bang from 2014’s Exodus. 4) Avengers: Age of Ultron (May 1) – Marvel is doing something really special with their cinematic universe. And while DC is scrambling to catch up, the magic of the first legitimately developed superhero team on screen is something that belongs to Marvel. With Avengers 2, however, they appear to be going in a darker direction, giving a much-needed spin to a cinematic universe that’s become too formulaic. Between the Scarlet Witch on the big screen and a Hulk vs. Iron Man fight, I am so there. 5) Star Wars Episode VII: The Force Awakens (Dec. 18) – I still don’t like the title, and I don’t even like the fact that they’re making this movie. I think the original six movies tell a complete story. But that trailer, man . . . that trailer. The Millennium Falcon, tie fighters, a lightsaber with a cross-guard . . . how could I not be looking forward to this movie now? Honorable Mention – Minions: I know, I know, but hear me out. Why did you see Despicable Me 2? Was Gru really that interesting? Was a ten-year-old girl’s love life really all that intriguing? No. The minions. That’s why you saw that movie. Come on. Admit it. I am thrilled for a minions movie, and I am not ashamed to admit that. I will see it, and it will be glorious. 1) Star Wars: The Force Awakens (Dec. 18) – Disney + J.J. Abrams – George Lucas = The best Star Wars movie since Return of the Jedi. My expectations are pretty high, but I trust that J.J. can meet them. With the success of the Star Trek reboots, he has earned my trust. I’m going to predict that this will be the highest grossing movie of the year, even more than Avengers: Age of Ultron. May the Sith finally defeat the Jedi. 2) Jurassic World (June 12) – It’s been years 22 years since the events of Jurassic Park, the park has been open for 10 and everything goes great… that would make for a boring movie. Instead they create a new super dinosaur and chaos ensues. Jurassic World isn’t going to be ground breaking or a contender for the best movie of the year, but it should be a fun, action filled romp full of death and destruction. 3) Minions (July 10) – The Despicable Me movies are hilarious and big reason for that is the Minions. So I wasn’t surprised when they announced this movie. I’m looking forward to all sorts of random, weird, and crazy shenanigans. 4) Jupiter Ascending (Feb. 6) – This was suppose to come out last year, but got pushed back. Hopefully that means they were able to refine it a little more. Directed by the Wachowski brothers, this epic sci-fi looks visually amazing. Hopefully the story can keep up. 5) Inside Out (June 19) – Pixar, need I say more. If you haven’t already seen the trailer, then you need to. The main stars of this film are emotions, which is a new and interesting way to tell a story. I’m sure this one will be great. 1) Star Wars Episode VII (Dec. 18) – Like (I’m sure) many of you I loved Eps. 4, 5, and 6 and yawned my way through 1, 2, and 3. Lucas lost me the minute he decided to get all CG-crazy. That is what is so satisfying about this new sequel (besides the fact that J.J. Abrams is directing); it appears to have embraced location shooting and set pieces. I have absolutely no idea what is going to happen in this film… and it doesn’t matter! I just can’t wait to witness these new adventures in the Star Wars universe. 2) Avengers: Age of Ultron (May 1) – I could hardly be considered a Marvel fan (or a comic book fan by any stretch of the imagination). But Marvel has been on point these last few years creating the rich, cinematic universe that we have all grown accustomed to. I thought the first Avengers was a fantastic popcorn flick (no surprises here, I am a huge Joss Whedon fan! ); and having seen this trailer, I have high expectations for the sequel. 3) Tomorrowland (May 22) – I’m one of those people that determine what I will watch largely based on production pedigree. Case in point, this mysterious flick about a secret place hidden somewhere in time and space has been pretty hush-hush on premise; but we do know that it is written and produced by Damon Lindelof (LOST, Prometheus), directed by Brad Bird (The Incredibles), and stars George Clooney and Hugh Laurie. I’m all in! To be fair, though, they had me at Lindelof. 4) Spectre (Nov. 6) – This latest James Bond film, entitled after a malevolent organization headed by the villain of the piece – Christoph Waltz – should hopefully be the same kind of action-packed thrill-ride we’ve come to expect from the Daniel Craig iterations. Sam Mendes (Road to Perdition, Skyfall) is once again directing. Can’t wait! 5) Silence (TBA, 2015) – As I mentioned previously, my interest piques with pedigree. Little is known about the film so far; it doesn’t even have an official release date. What we do know is it will star Liam Neeson (Taken, Non-Stop) as a Jesuit priest imprisoned in 17th century Japan and Andrew Garfield (The Social Network, The Amazing Spiderman) as another Jesuit sent to find him. It will be directed by Martin Scorsese (Casino, The Departed). The movie is based off a book with the same title about Christian persecution; but it has a rather controversial ending. I’m curious to discover whether the movie will stick to the book’s ending or take another route as it were. There you have it! 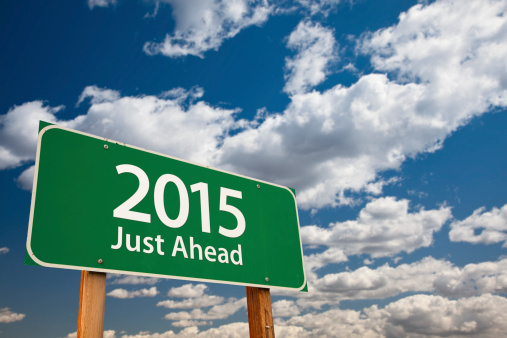 Like I said, we have a lot of repeats between us, but we’d love to hear what’s on your radar for 2015! Um, well let’s see. I think the new “Divergent” series film “Insurgent” holds the most interest for me in that I was more than a little surprised at how much I enjoyed the first one. Just wondering if they can wow me again. While I’m anxious to see the finale of the Hunger Games I’m pretty confident they won’t mess it up since they have gotten it right so far. Side note: I am really angry at Philip Seymour Hoffman for offing himself with drugs. What a talent. What a waste. As far as Amber’s choice of “Far From the Madding Crowd” I’m just a bit weary of the “strong, independent woman” meme that seems to have become the staple of Hollywood fare these days. How about a movie with a strong, independent dude for a change. Oh that’s right, no use writing that since there aren’t actors these days with the chops to pull it off. (I exaggerate, of course. But only a little.) Also, it will be difficult to top the 1967 version with a top shelf cast headlined by Julie Christie. My opinion might be a bit skewed by the fact that I was fourteen when this film was released and had a serious Julie Christie crush. I had no idea there was a 1967 version! Now I have to see it.